This is the ultimate collection of funked-up wisdom and inspiration, from the grooving pioneers of R & B, soul, and funk to the flame-tending funkateers of hip-hop, neo-soul, and gospel. With interviews and analyses from both groundbreaking old-school innovators and ongoing revolutionaries – players like Larry Graham, Anthony Jackson, Chuck Rainey, Bootsy Collins, Stanley Clarke, Victor Wooten, Meshell Ndegeocello, and Andrew Gouche – here are the secrets of how the masters take a grooveand make it funky. 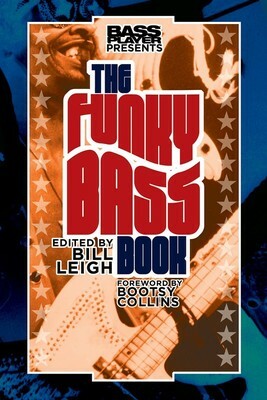 From the early days of James Brown and Motown throug h the session players of Stax, Muscle Shoals, and Philly soul, The Funky Bass Book digs deep into the grooves that have moved generations, illuminating what lies at the heart of funk.